It gives me great pleasure to announce that Caryn McClelland has accepted the invitation to join the UNIS Hanoi Board of Directors as a Board appointed member, replacing Karin Fock who stepped down in August. 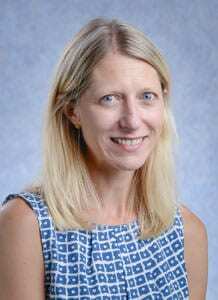 Caryn R. McClelland is the Deputy Chief of Mission (DCM) with the US Embassy and began her assignment in Vietnam in September of 2017. 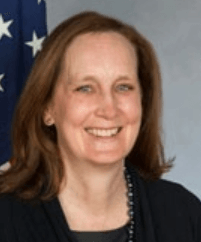 Prior to this assignment, Ms. McClelland served as the Acting Principal Deputy Assistant Secretary in the Bureau of Oceans and International Environmental and Scientiﬁc Affairs in Washington, DC; the Deputy Special Representative for Commercial and Business Affairs in the Bureau of Economic and Business Affairs; the Deputy Chief of Mission in Riga, Latvia; and as the Consul General at the U.S. Consulate General in Surabaya, Indonesia, covering the Eastern half of the Indonesian archipelago from East Java to the Malukus, including the U.S. Consular Agency in Bali. She previously served as the Political-Economic Counselor in Baku, Azerbaijan; the Deputy Economic Counselor in Kuala Lumpur, Malaysia; the sole Political-Economic Ofﬁcer in Ashgabat, Turkmenistan; and as a Consular Ofﬁcer in Dublin, Ireland. Ms. McClelland also served as a Senior Advisor to the Special Advisor to the President and Secretary of State for Caspian Basin Energy Diplomacy and as the Eurasia Regional Energy Ofﬁcer in Washington. She received master’s degrees from the National War College at the National Defense University and San Francisco State University and a bachelor’s degree from UCLA. Ms. McClelland speaks Latvian, Indonesian, and Russian. She has a daughter in elementary school at UNIS Hanoi. Please join me in welcoming Caryn to the Board. We are grateful, with her full time commitments, that she has accepted to join the Board and we look forward to working with her. Over the September 8 – 9 weekend, the Board will be hosting the fifth Governance as Leadership Training Institute for School Board Members and Administrators from the South East Asia Region and beyond. This annual school governance event remains as popular and important as ever as we work with delegates from 21 schools to help strengthen and support best practice in international school governance. This year we will host 129 Delegates of which 95 are Board Members and 31 are Administrators. The Conference will again be co led by William P. Ryan, a research fellow at the Hauser Center for Nonprofit Organizations at Harvard University and Bambi Betts, Director at Principals’ Training Center for International School Leadership. I would like to take this opportunity to thank the Head of School and Advancement Office for the extensive planning required to bring such a big group of delegates together. I would also like to extend my appreciation to our UNIS Hanoi Board of Directors who will give up their Saturday and Sunday to attend this training institute.